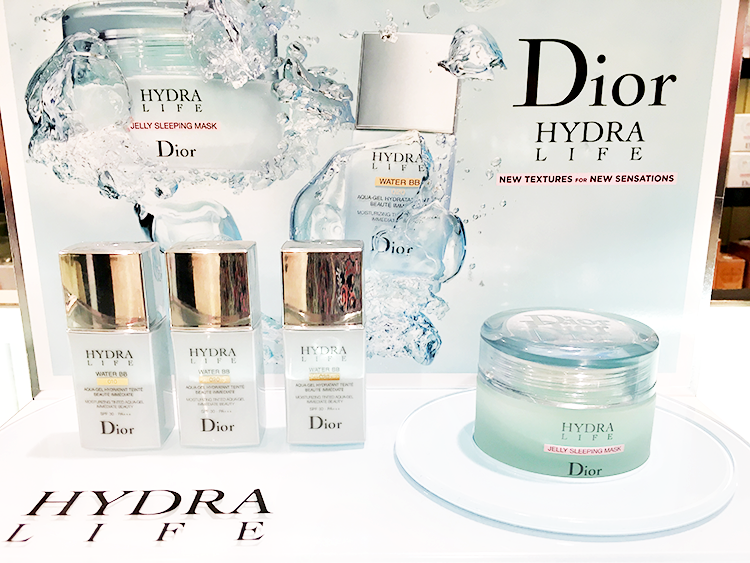 DIOR HYDRALIFE | JELLY SLEEPING MASK + WATER BB. 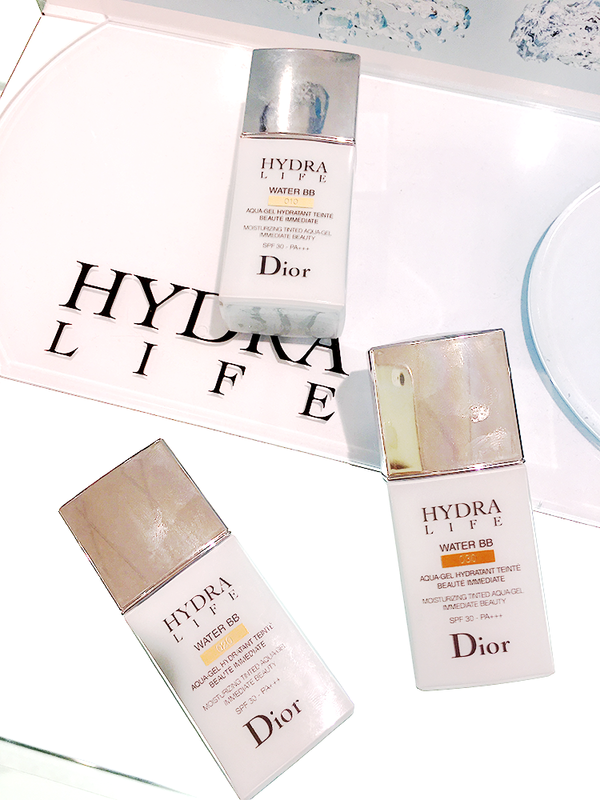 I have to say, to impart some moisture into my skin, I really like the Dior Hydra Life line. They've just released a couple of new additions to the range, in the form of their Jelly Sleeping Mask and Water BB and I obviously pounced on them. 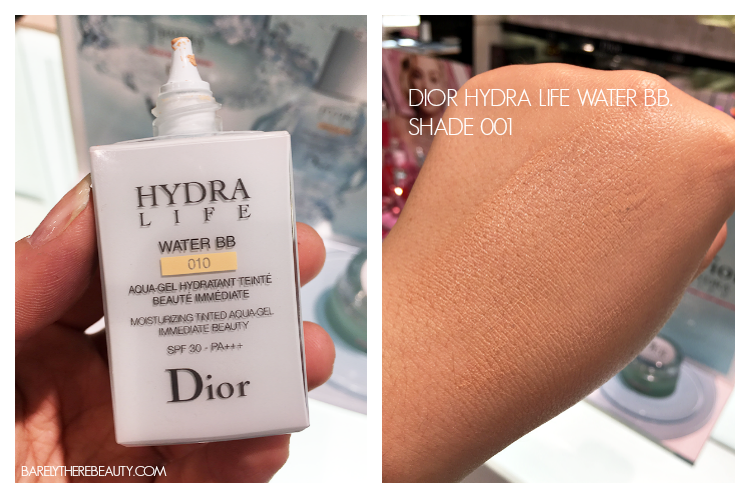 There are some hits but also definite misses here.. read on for swatches and my first impressions. 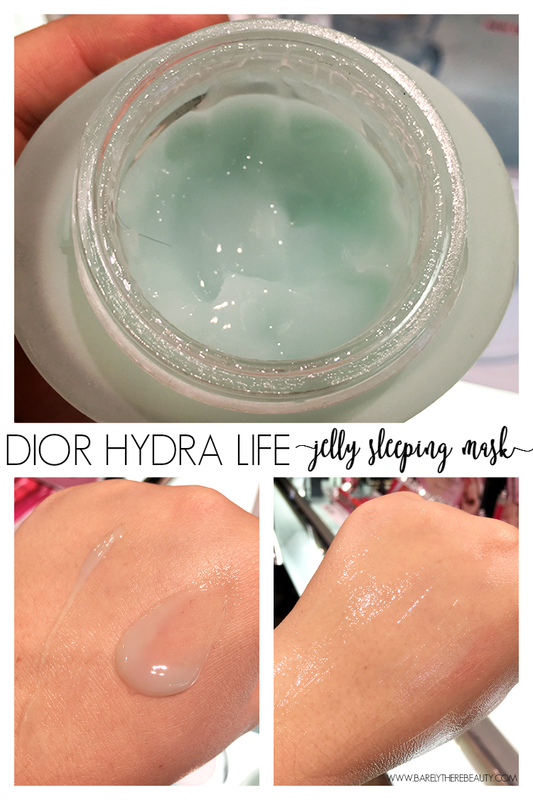 The Jelly Sleeping Mask is Dior's first targeted night mask with a super-lightweight, watery, jelly texture. These are big news in Asia (esp. Korean beauty) so I was eager to see if these lived up to my Kbeauty favourites. The mask feels wonderfully light and hydrating, as promised, with a fresh scent and milky-blue colour. It's not dissimilar in look and feel to the Chanel Hydra Beauty Gel Creme, which I love. The idea of sleeping masks is to apply as a 'final coat' at the end of your nighttime skincare regime, and leave on whilst you sleep. Blending this into my skin, it feels extremely similar to my Laneige Water Bank Sleeping Mask, really hydrating and plumping. On first impressions, it's a hit, I can't say I'm not enamoured, anything that provides uber-hydration whilst feeling so light and comfortable and I'm there. I know it's Dior but do I resent paying £52 for 50ml of this mask when I know I can pick up my long-trusted, reliable, effective 70ml Laneige Water Sleeping Mask here for just under £25, when they feel so similar. I'm not ruling it out though, I'm impressed by the texture and feel, I'll have to see how it fares after an 8hr wear. 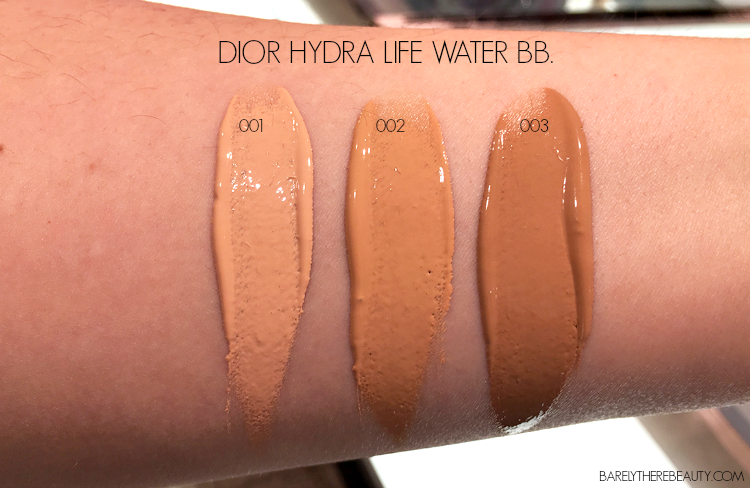 Part two of the new release is the Dior Hydra Life Water BB. Although, during my great and lengthy search for the perfect, hydrating, jelly-esque base, I've found a mere couple that live up to my aspirations (Holika Holika Jelly BB being one), and when I saw these I had huge hopes! Essentially a tinted balm, that promises to offer an 'exquisite natural veil', hydration and sun protection, these sound like the stuff of dreams. But quickly down to earth I was to bump. The shades, of which there are 3 (light, med, dark) are so off. Shade 2 and 3 might work beautifully if you've a darker skintone, but even shade 1 is too dark for my NC20-25 skin, managing to look both too orange and too pink simultaneously. It's an odd mix. They don't glide on quite like I'd hoped either, I wanted them to either be light and gel-like or creamy and slick like my Olay CC, and they're neither (the photo above is after I've tried to blend it in for a while..). Not terrible I grant you, but not exceptional, and for the £40 I would be paying for these to come home with me, I'd like a lot nearer exceptional. I'd rather recommend Guerlain's Aqua-Serum BB (and here for US). Have you tried either of these new products? Tell me the shades in my store are just weird?! I'm thinking of doing a post on sleeping masks, a 101, my favourites etc, so let me know if you'd like to see that. This sounds interesting rather different i like it! Water BB sounds like something I could enjoy. But the shades are way too dark for my skin tone.